Mattson Creative is a branding agency specializing in illustrative design for the entertainment and licensed consumer products industry. So how do you transform your product, property or service into a compelling narrative that will inspire your audience, distinguish you from competitors, and command a premium? We’ll show you. What’s in a name? Oh, just about everything. We’ll help you develop a unique and memorable name that will become your brand’s most valuable asset. Your logo is the primary tangible identifier of your brand. But logo design is an art, not a science. So it's a good thing we’re not scientists. Your brand has infinite potential, but your success will hinge on the quality, creativity and innovation of the products that bear your name. We can help you dream, design and develop products that live up to the ideals of your brand. It’s the moment of truth. Your customer is eye to eye with your product. Is it distinctly different? We’ll help you look exactly like something you’ve never seen. Whether you’re licensing a brand or managing your own, a style guide is imperative to the success of any marketing program. Think of it as your brand’s bible. And consider us inspired. Whether it’s for the biggest brand in the world, or the smallest corner of a magazine article, sometimes the best solutions are the ones made by hand. Your website isn’t just a powerful communication tool for your brand—it is your brand. We’ll work closely together to create innovative experiences that showcase your products and engage your audience. 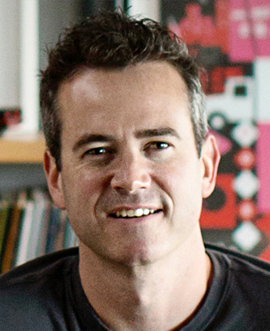 A design practitioner who is as comfortable defining brand strategy as he is executing it – Ty’s unique combination of strategic creativity can be seen in his projects for Apple, Billabong, Cartoon Network, CBS, Coca-Cola, Discovery Channel, DreamWorks, Hasbro, Mattel, Nickelodeon, Target, Universal and others. His work has appeared in numerous professional publications and has been recognized for excellence by the leading design competitions including the One Show and Communication Arts.